Take a dance lesson with your special someone. One forty minute private lesson for a couple for only fifty dollars! Learn the basics of Swing, Salsa, Tango, or any other dance taught at our studio. 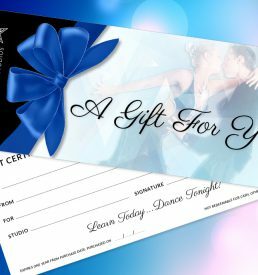 We will contact you via email after purchase to schedule your dance lesson. *This offer is for new students only. 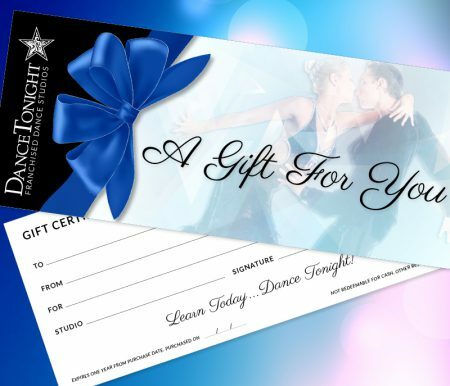 After purchase you will receive a link to a downloadable gift certificate.